Daphne is a dainty, fine-boned, beautiful red sable girl with enough attitude for a Pap twice her size. Every day is a new adventure for Daphne and us (of course)! She has been shown on a limited basis this Summer while the older girls were finishing their championships. 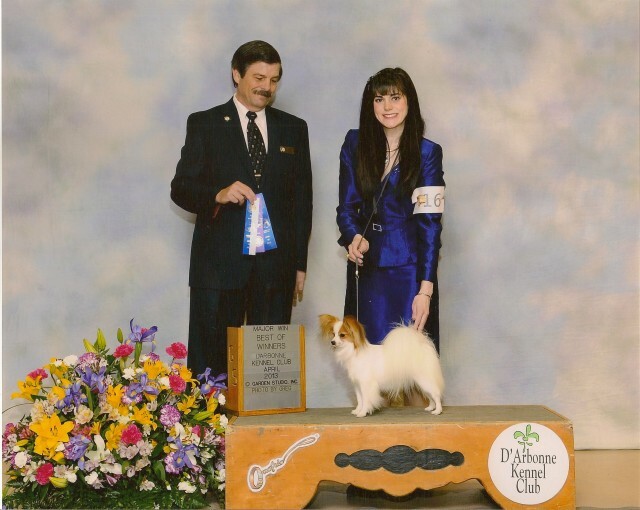 She is about halfway finished with her first major under Mr. James Fehring, a Papillon breeder-judge.